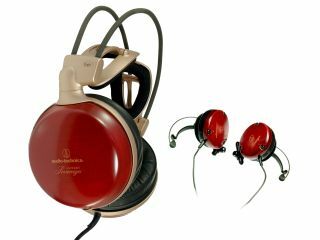 Japanese sound-firm Audio-Technica has announced that it will be launching a new range of consumer headphones at the IFA show in Berlin next month. IFA is the worlds largest consumer electronics show, and Audio Technica will be using it as a launch pad to show off a wide variety of new cans. The new headphone range has something for just about everyone: with funky colour-matching headphones for the most fashion conscious iPod nano owner, along with headphones that deliver superlative hi-fi levels of performance. Also in the range are in-ear headphones that the company says "look and sound superb" and even some noise-cancelling headphones. Also on display will be the company's range of highly desirable wooden headphones crafted from Japan's finest Hokkaido cherrywood demonstrating once again the high standards of Audio-Technica's in-house design team. Simon Hedges, the company's consumer business development manager, explains; "We know that our consumer headphone range makes a very impressive offering that consumers will find hard to resist. "We are looking to work with the very best distributors and retailers across Europe to build our market, and help them to grow their businesses. Our performance in our Japanese home market has proven the desirability of our headphones and so we are looking forward to using IFA as the perfect opportunity to introduce Audio-Technica to all European markets at the same time." A new summer advertising campaign targeting over 12 million UK consumers has already started following the launch earlier this year of its own e-retail site .